Rumplestiltsken is an age old tale of greed. The story of a young girl who has been said to be able to spin straw into gold, the greedy king who locks her up until she does and the strange, magical little man, Rumplestiltsken who appears and promises to spin the straw in return for her jewelry. The journey continues through the many adventures, twists and turns that make this unforgettable story so exciting. 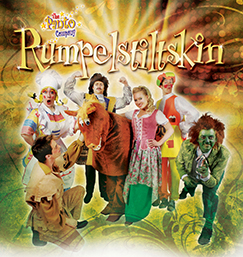 This classic tale comes to the stage filled with song and audience participation along with the fabulous stage sets and costumes that the Panto Company USA is internationally known for!